IT TOOK US 200 YEARS TO FINALLY BUILD A DISTILLERY. WE OBVIOUSLY NURSED THAT LAST BOTTLE LONGER THAN WE THOUGHT. Our story starts in the early 1800’s, when Scottish immigrants flocked to Cape Breton Island. Its beauty resembled the Highlands and islands of Scotland so much that they decided to settle here and make it their permanent home. Many traditions and secrets travelled across the sea with those pioneers. One of those secrets was the making of a spirited whisky. Our distillery was the dream of Bruce Jardine, the original owner and founder of Glenora Distillery. His vision was to build a single malt whisky distillery in a very Scottish part of Cape Breton Island. To begin building that vision, Bruce Jardine sought out the expertise of Bowmore Distillers in Scotland. They lent their hand with production training and the sourcing of authentic Scottish copper pot stills and a mash tun for the Distillery. Since water is arguably a whisky’s most important ingredient, Bruce made sure that ours was tied directly to Cape Breton. Our water comes from MacLellan’s Brook; the purest and cleanest source of water in Cape Breton. MacLellan's tumbles out of the Mabou Highlands, runs through Glenora Distillery's grounds, and can be found in every whisky we produce. After the construction of the distillery in 1990, initial production yielded 20 barrels of the first single malt whisky produced in North America. 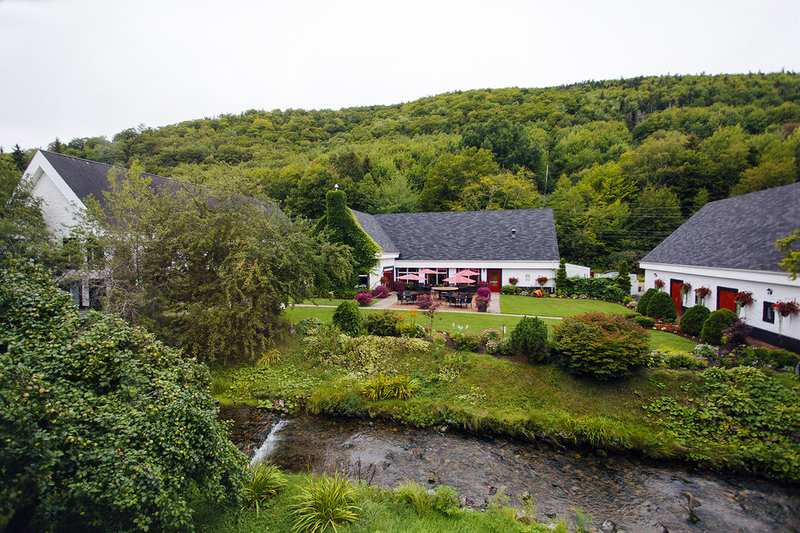 In 1994, Glenora and its maturing whisky was acquired by its present owners who have a long line of Scottish ancestry with Cape Breton roots. Production continued and in November of 2000 the first bottling of Glen Breton Rare was released. The 750ml bottle was made in limited supply and sported a blue label. The first 500 bottles filled were numbered, signed, boxed, and destined to become collector’s items. In the following two years we redesigned our packaging to feature a red maple leaf. We’re now proud to celebrate our 25th anniversary with a special edition Glen Breton 25 Year Silver Anniversary Package and Bruce Jardine Special Reserve 25 Year.